The asymmetrical design of this necklace is made from beautiful rich bronze cylinder beads. 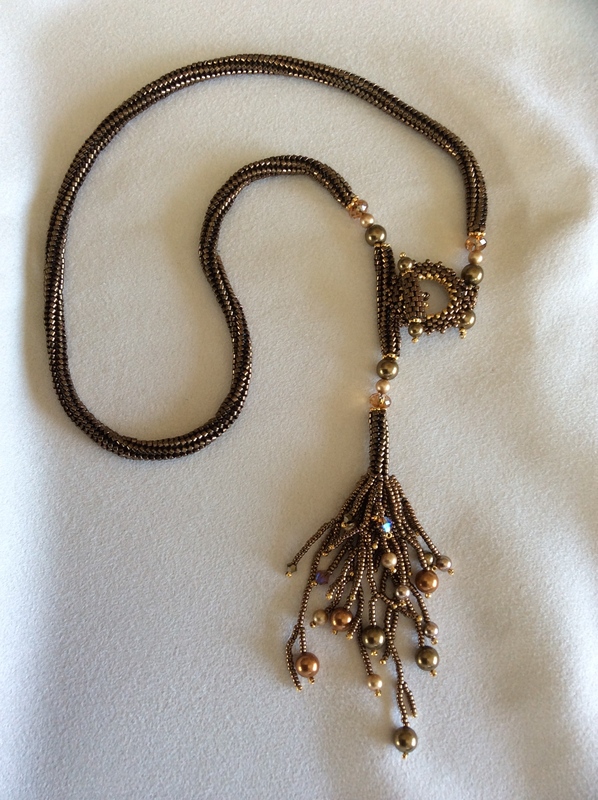 The lariat and fringe is accented with Swarovski crystals and pearls. It measures 20″ to the closure.